Vic Fangio holds his first Broncos minicamp practice of offseason Tuesday. ENGLEWOOD, Colo. — Not to get carried away or anything, but Joe Flacco looked good. It’s only practice. It’s only the first practice of the offseason. It’s only the first practice of the offseason in mid-April. But even going back to before Peyton Manning’s wobbles, it’s been a while since a Broncos quarterback threw such a nice, firm, accurate ball with zip. 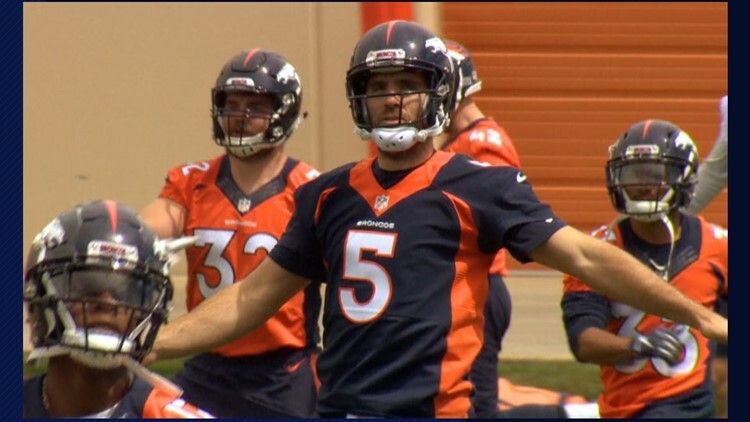 The Broncos held their first minicamp practice Tuesday at their UCHealth Training Center. Wanting to give their grass fields a few more weeks to take root and grow, the offense sans the offensive line held their passing drills in the Pat Bowlen Fieldhouse. The Denver defense, plus the offensive line, worked outside on the artificial surface field. Flacco is the Broncos’ new quarterback. He was acquired from the Baltimore Ravens where he was an 11-season starter in exchange for a fourth round draft pick. At 6-foot-6, Flacco is taller than previous starters Case Keenum and Trevor Siemian. He throws the ball with the zip of former 6-foot-7 quarterback Paxton Lynch — only Flacco is considerably more accurate, at least when throwing to uncovered receivers. Vic Fangio, the Broncos’ new head coach, closed the final 75 minutes of practice from the media as his team entered competitive 7 on 7 and 11 on 11 drills. But from what the media could discern, Flacco already looks like a Big Man Quarterback who can fling it.